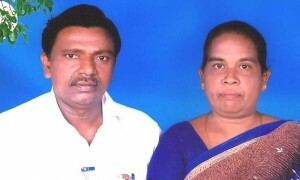 Biography: Yeshaiah and Sheshikala co-pastor Emmanuel Ministries in Nalgonda District. They began in 1996 with four families. Their mission statement is to win souls and plant churches. The church focus is leadership training. Strengths: Yeshaiah and Sheshikala are gifted in teaching and preaching. Family: Yeshaiah and Sheshikala have two adult children, Patrick and Arpana Grace.